DEFA MultiCharger 1x12A represent the latest in charging technology and ensures optimal battery performance and longevity. DEFA MultiChargers are designed to simplify the installation and use of quality battery chargers in heavy vehicles. They are based on modern switch-mode technology and galvanized divisions, ensuring first-rate efficiency and dependability. MultiChargers are built to withstand harsh conditions. They can be used with all types of lead/acid batteries. 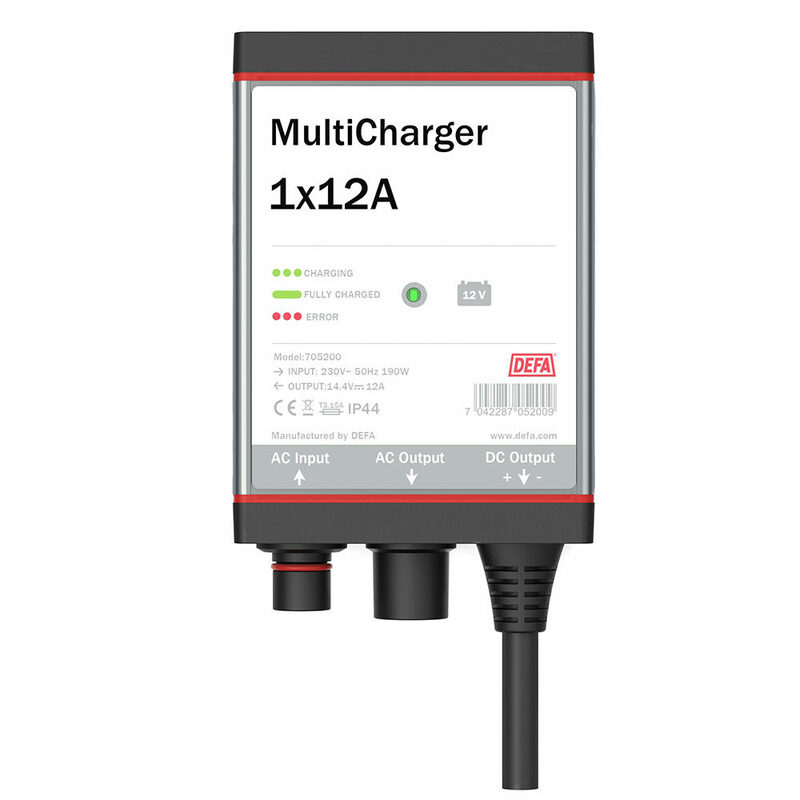 MultiCharger 1x12A is ideal for battery sizes up to about 150Ah. It can provide maintenance charging for an unlimited time. The charging is temperature compensated. Equipment damage and injury may result from improper installation and use. If you are unfamiliar with electrical systems: consult us, a dealer or a licensed electrician. Read the installation and user guide carefully. The charger is maintenance free.